Washington University head women’s basketball coach Nancy Fahey has been appointed lead clinician for the 2015 USA Basketball Women’s U16 National Team Trials, while high school head coaches Kelly Carruthers (James Bowie H.S., Texas), Angie Hembree (Norcross H.S., Ga.), Torino Johnson (Palisades Charter H.S., Calif.) and Kelly Sopak (Miramonte H.S., Calif.) were announced as court coaches. Trials for the 2015 USA Women’s U16 National Team will take place May 21-25 at the U.S. Olympic Training Center in Colorado Springs, Colorado. 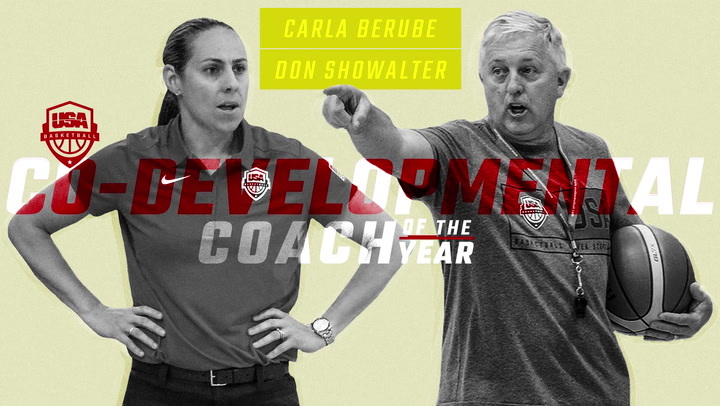 The coaching selections were made by the USA Basketball Women’s Developmental National Team Committee. The USA Women’s U16 Trials are expected to feature 158 young basketball players from throughout the country who will take part in skills sessions, performance seminars and scrimmage sessions while competing for one of 12 roster spots on the 2015 USA Basketball Women’s U16 National Team, which will play in the FIBA Americas U16 Championship from June 24-28 in Puebla, Mexico. Fahey will guide the players during the skills sessions, while the court coaches will assist the coaching staff of head coach, Dori Oldaker and assistant coaches Dianne Lewis and Samantha Quigley in leading drills and scrimmages. Nancy Fahey previously served as an assistant coach for the 1995 U.S. Olympic Festival South Team. She recently finished her 29th (1986-87 to present) season at Washington University in St. Louis with a 25-3 record, including the Bears’ 27th NCAA Tournament appearance and the program’s 21st University Athletic Association title. In her time at Washington University, Fahey has been the only coach in NCAA Division III history to win five national championships, including a stretch of four-straight crowns from 1998-2001, and she has compiled an overall record of 688-124 (.847 winning percentage). She also was the first NCAA Division III representative to be inducted into the Women’s Basketball Hall of Fame in 2012. The head coach of James Bowie High School for the past four season (2011-12 to present), Carruthers has tallied an overall record of 118-23 (.837), including winning three-consecutive District 4-6A championships. Norcross High School’s Hembree, who has compiled a 475-156 record (.753) in 29 years of coaching, has just completed her eighth season (2007-08) with the Blue Devils. In 2014-15, Norcross finished as the runner-up in the Georgia state championship, which marked the program’s fifth-consecutive appearance at the state title game. Of those, the Blue Devils have won the state crown three times (2010, 2011, 2013), while claiming the regional championship four times (2011, 2012, 2014, 2015). Hembree, a six-time Georgia High School Association 5A/6A Coach of the Year, also has served as the McDonald’s High School All-American Game head coach for the east team (2014) and Women’s Basketball Coaches Association High School All-American Game assistant coach (2010). Johnson recently completed his eighth year (2007-08 to present) as head coach at Palisades Charter, after spending three years there as the assistant coach. Under his direction, the Lady Dolphins have tallied a 154-104 record (.597), appearing in six-straight California Interscholastic Federation state tournaments, while claiming two Western Athletic League titles and three Los Angeles City titles. Twice Johnson has been named Los Angeles Coach of the Year. Sopak has been the head coach at Miramonte for six years (2008-09 to present) where he has compiled an overall record of 163-25 (.867). He has led the Matadors to four-consecutive Diablo Athletic League Championships, where the program currently holds a 50-game winning streak, two North Coast Section Championships (2014, 2015) and two CIF Northern California Open Division Championships. He has also coached the Cal State Nike Elite AAU Team since 2006. 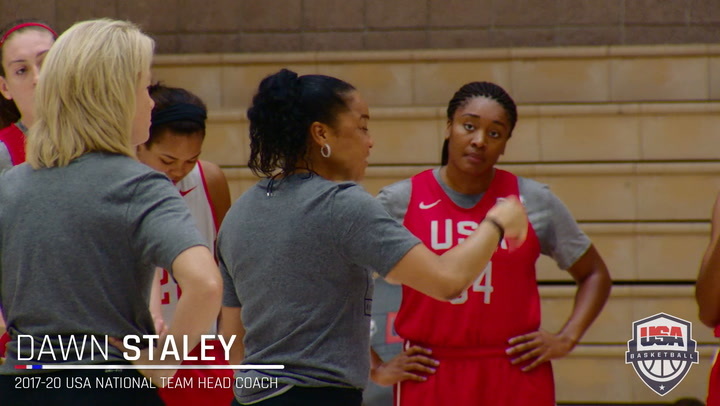 In addition to 34 top 16-and-under players who were invited to trials by the USA Basketball Women’s Developmental National Team Committee, 124 players were accepted as applicant athletes. All 158 players are eligible for a position on the 2015 USA U16 National Team. The first two days of the 2015 USA U16 National Team Trials primarily will consist of skills sessions and off-court sessions on health and performance on May 21 and 22. After scrimmage opportunities on the evening on May 22 and the morning of May 23, the roster may begin to be reduced. Due to the number of athletes participating, the trials roster will be split into two groups for at least the first three days. The 12 players for the 2015 USA U16 National Team will be announced on the morning of May 25. The selected team members will return to Colorado Springs for training camp June 14-22, before departing for the FIBA Americas U16 Championship. 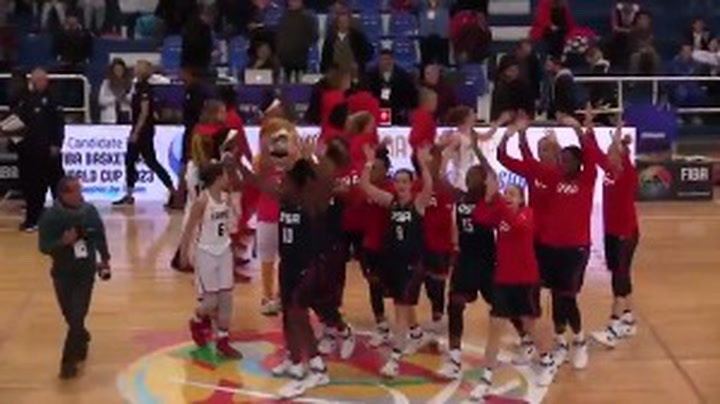 Chaired in a non-voting position by Callan, the USA Basketball Women’s Developmental National Team Committee also includes AAU representatives Bill Larson and Sherri Pegues, National Federation of High Schools representatives Jody Patrick and Jill Rankin Schneider and athlete representative Yolanda Griffith, a 2000 and 2004 Olympic gold medalist who played on five USA Basketball teams. The 2015 FIBA Americas U16 Championship will be played June 24-28 in Puebla, Mexico, where the USA women will set their sights on a fourth-consecutive U16 gold medal, along with a berth into the 2016 FIBA U17 World Championship, which will be awarded to the top four finishing teams. The U16 FIBA zone qualifier will feature eight teams from North, South and Central America and the Caribbean. The USA was drawn into preliminary round Group A, along with Argentina, Honduras and Mexico. Playing in preliminary round Group B will be Brazil, Canada, Cuba and Venezuela. The USA opens play against Argentina on June 24, faces Honduras on June 25 and caps preliminary round play against host Mexico on June 26. After playing each of the teams in its preliminary round group, the top two ranked teams from each group will advance to the semifinals, and the third and fourth-placed teams will compete for fifth-through-eighth places. The semifinals will be played on June 27, and the finals will be on June 28. 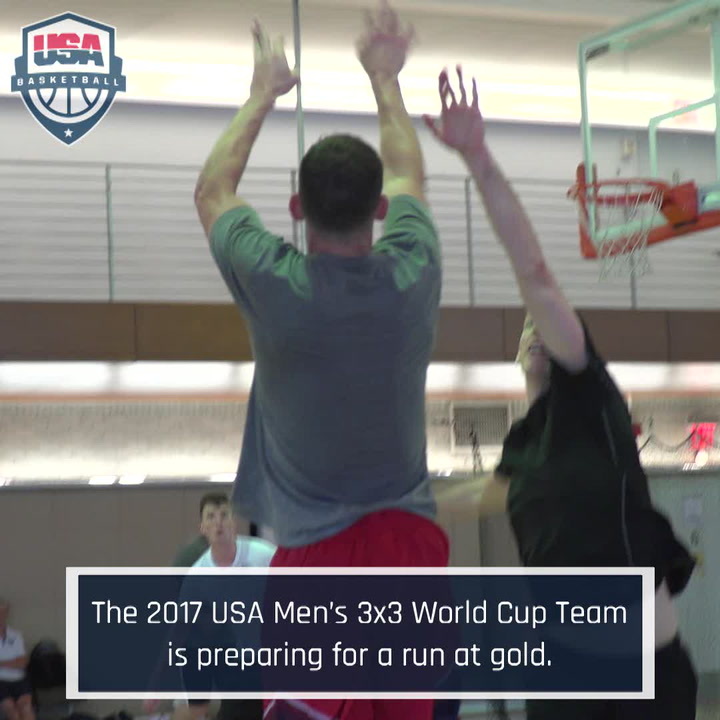 The USA owns three gold medals and is a perfect 15-0 all-time in U16 play, including most recently in 2013, when the USA topped teams by 63.9 points per game. The list of players who have competed for USA U16 national teams includes: Cierra Burdick (2009), Kaela Davis (2011), Asia Durr (2013), Rebecca Greenwell (2011), Linnae Harper (2011), Kaleena Mosqueda-Lewis (2009), Arike Ogunbowale (2013), Taya Reimer (2011), Katie Lou Samuelson (2013), Breanna Stewart (2009) and Elizabeth Williams (2009). 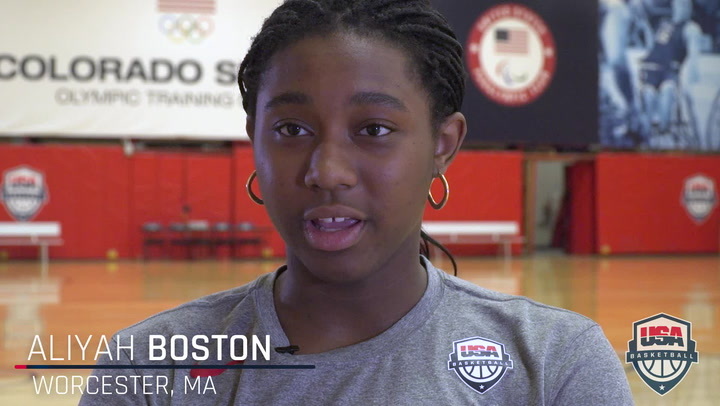 After failing to be selected for last year's USA U17 World Championship Team, 6-foot-4 forward Aliyah Boston went to work and was rewarded with a roster spot on the 2017 USA U16 National Team.